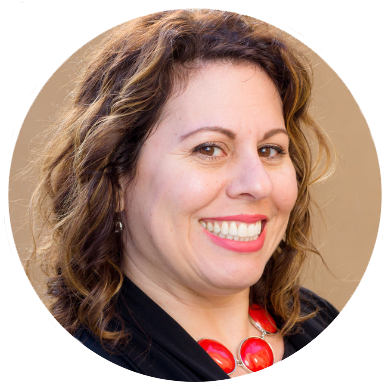 Hello, my name is Leisa Reid, and I bring Productive Learning’s life-changing workshops into the local Southern California community. I took Beyond Reasons for the first time in 2010, and it opened my eyes in a way that’s hard to describe. I was in a place of transition in my personal life, and the workshop helped me understand how to move forward without repeating patterns that weren’t serving me. From there, I continued to take three or four workshops a year. Productive Learning was helping me live a more fulfilling life, but my role was purely as a client. For more than 20 years, I have worked in management, sales, and executive leadership. I addressed my passion for teaching, communication, and the intricacies of human dynamics as a business owner and in numerous roles in university-level academic administration. In 2013, I found myself at a crossroads. I knew I wanted a change, but I didn’t know what it would look like. That is, until I took Productive Learning’s Trainer’s Training and dared myself to explore the what else was possible for my career. Since joining the Productive Learning staff later that year, I’ve brought some of the core concepts of Beyond Reasons into the community by speaking with hundreds of organizations and businesses each year. It’s incredibly rewarding to speak with people & groups about the power of their mindset, especially to those who may be experiencing personal development training for the first time in their lives. I find great joy in watching those who begin to accept that they are not alone in their struggles – we’re all working through things, and we can do it together. Also, in 2013, I founded the OC Speakers Network, a talented group of speakers who collaborate and share speaking referrals. Over the years, it’s continued to grow in both size and scope, as guest speakers from all over the world come to educate our members on the speaking craft. Due to popular demand, I share my booking secrets with other speakers, so they can get their messages heard and get on more stages through my Get Speaking Gigs Now Coaching programs. In 2016, I was proud to become a published author. In Manage to Success: A Guide to Cultivating Happy and Productive Employees, I’ve helped fill a gap that exists in today’s management training. Beyond basic job training, the book teaches new and seasoned managers the secrets to creating loyal employees who enjoy their jobs and work hard. Outside of my professional roles, I can be found on the Zumba dance floor, and laughing with my daughter and husband. They bring more joy to my life than I ever dreamed possible. I try to approach each day with excitement. After all, I have the power to create whatever it is I want to experience in this day. Why not make it something great?